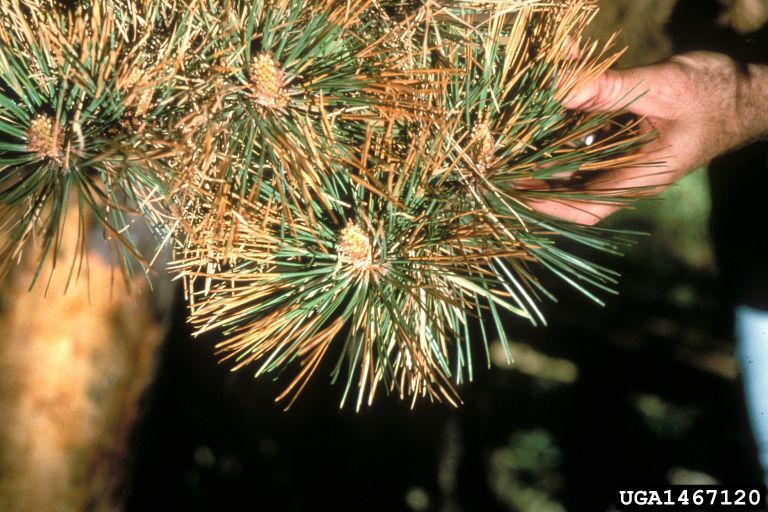 Needle cast is a broad group of fungal diseases that cause conifers to shed needles. The symptoms of needle cast first appear on needles as light green to yellow spots, which eventually turn red or brown. Growth of the fungal pathogen from the spots on the needle will cause the death of the entire needle. This shedding of needles can be more serious to conifers than losing leaves is to deciduous hardwoods. There are over 40 kinds of needle casts in North America. Infected needles usually turn red to brown from their tips beginning in winter or early spring. By mid to late spring the death of infected needles is well advanced giving diseased trees a red to brown "fire-scorched" appearance. Tiny black fruiting bodies (spore producing structures) form on the surface of the needles before or after the infected needles are shed. 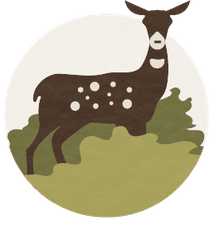 Avoid planting trees on sites not suited for a particular species. Needle cast seems to thrive when conifers are under stressful conditions including drought. Young seedlings and saplings are susceptible, as well as pure and crowded stands. Keeping your tree healthy can minimize the harmful effects of this disease. Control is unnecessary in most non-commercial situations. However, Christmas tree growers must take some action against the disease. If control is desired for cosmetic reasons, protection of newly emerging needles through June with regular applications of an appropriate fungicide may be helpful.